‘Rocks and Flowers’: Exhibition of paintings by myself and beautiful ceramics by Moyra Stewart, is up and looking lovely together, both inspired by the Outer Hebrides. Moyra’s work is inspired by Gneissian stone. 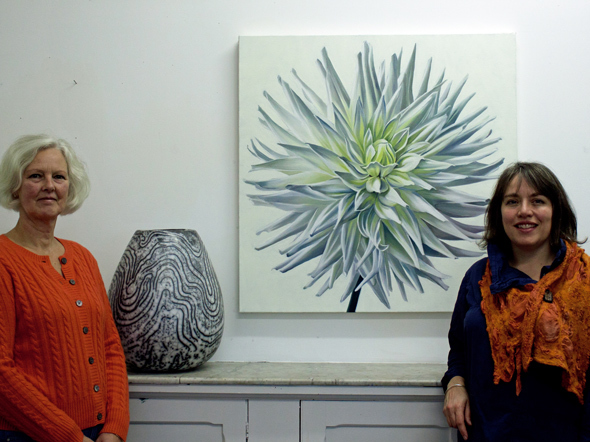 Moyra and I hope to see you over the weekend at my studio – we’re open Saturday 6th December 5pm-8pm and Sunday 7th December 11am-5pm.